The quintessential six-yard outfit is one that never fails to impress. An age-old attire, a saree is something that even Bollywood celebs swear by. From red carpets events to weddings and festivities, we see gorgeous creations of the garment being donned by our favourite B-town stars. And, let's be honest, there's very little possibility of you forgetting the fabulousness of it all, but just in case you did, here's a quick recap of the best Bollywood-approved sarees this year. Thank us later! The understated elegance exuded by a classic saree is a fail-safe, every single time. And Tamannaah knows that too! 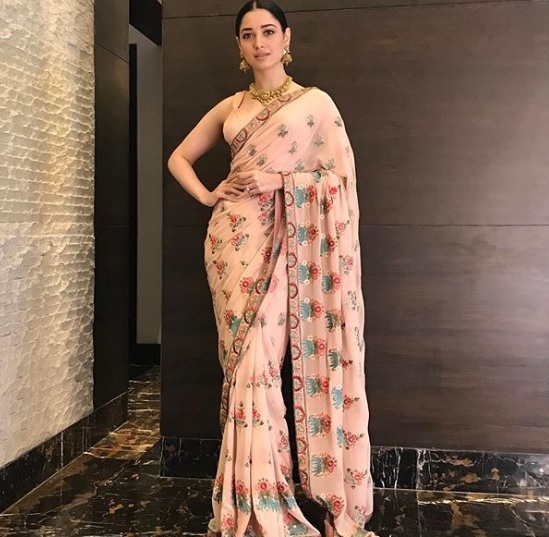 For an outing, the actress chose this Varun Bahl drape with colourful motifs in a blush pink that looked absolutely gorgeous. 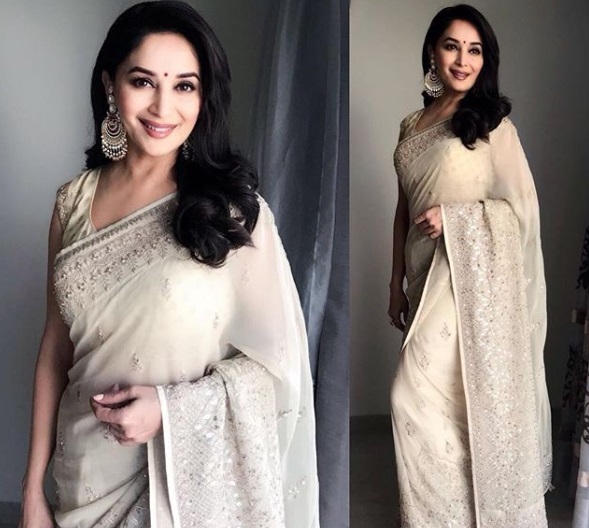 This dainty white saree that Madhuri Dixit wore at the beginning of the year is still on our minds! 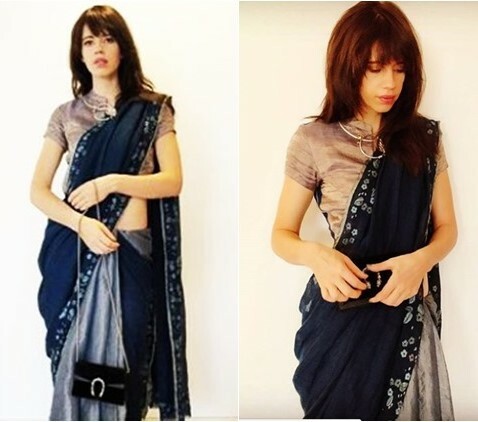 Kalki chose to go the contemporary route in a saree by Anavila. The subtle look worked wonders for her and had us asking for more. 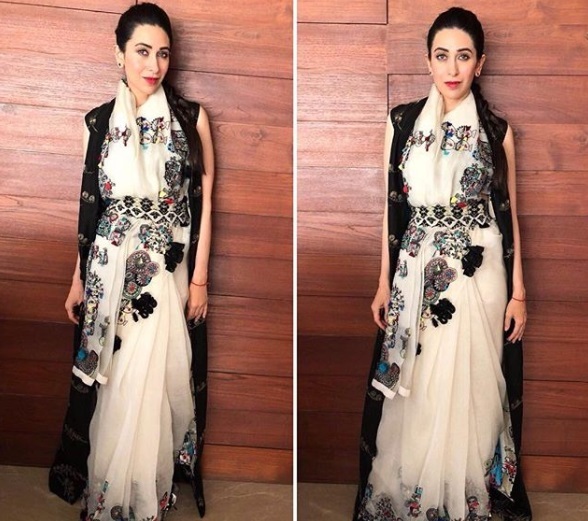 Karisma Kapoor's embroidered Anamika Khanna saree with additional layers and smart draping is what one needs for that transitory weather in spring. Her gym looks may be the talk of the town, but Kareena Kapoor Khan's Indian ensembles definitely can't be ignored. And, let's face it, she isn't a newbie when it comes to donning them sarees. 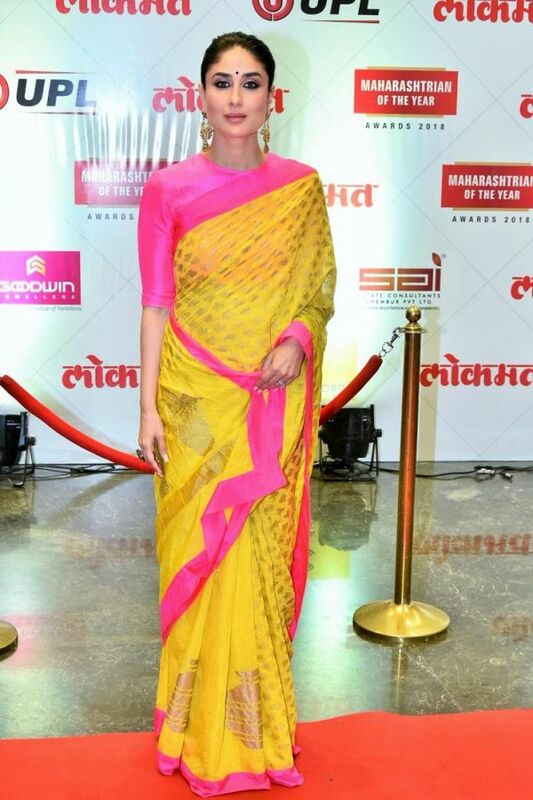 Like this gorgeous yellow ensemble that she decided to wear for an event this year. Yellow never looked this good! Kangana Ranaut's fashion mantra could very well be 'go big or go home'. Channelling the diva that she is, Bollywood's Queen stepped out on the streets of Paris in a hand-dyed and embellished saree by Sabyasachi, and there was no looking back. Wrapped up in a faded pastel saree (cinched at the waist) and an embroidered cape, Mouni Roy looked like a true vision in this Anamika Khanna creation. Quick style tip: indo-western details like capes and belts look great when paired with a saree, and elevate your look in an instant! Proving everyone who said the attire was boring wrong, Shilpa Shetty wore a signature Shantanu and Nikhil drape and rocked it with a brocade corset. We dare you to look away. PeeCee, a global icon and a style diva carries a saree with such ease, you could be fooled into thinking she wears one every day! Flaunting a Manish Malhotra number complete with Swarovski crystals, Ms Chopra's look definitely made us go woaah. 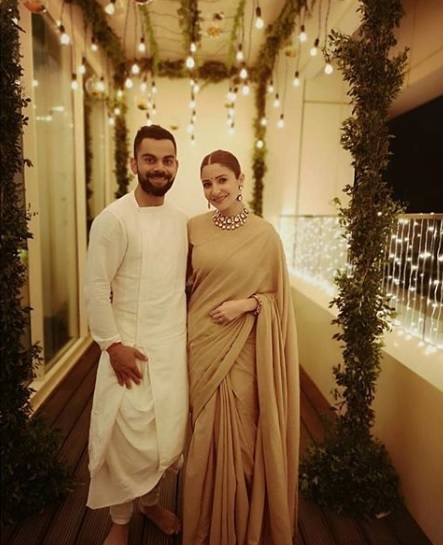 A perfect example of simple and striking, Anushka Sharma picked a minimal beige drape saree and accessorised it with jewellery that complemented the look completely. 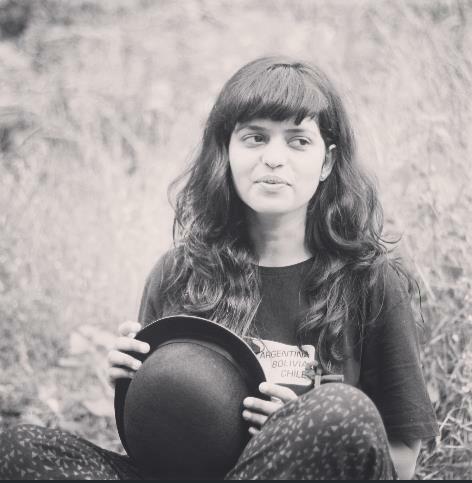 We suggest you take a cue from Anushka on how to nail subtle glamour. For the festive season this year, Kriti Sanon worked an olive green saree that was equal parts contemporary and traditional, and just perfect for all those festive parties. There's a reason DP's wedding looks broke the internet this year: they were all fab! For one of her receptions, the new bride chose to slay in a gold Kanjeevaram Silk saree, and we're completely in love. Chitrangda's aesthetically draped saree is for anyone who wants to opt for a fusion look with a minimalistic appeal. We love! Can't stop, won't stop obsessing! Now, what are you waiting for? Go raid your mum's closet for some sarees!